Before you continue and read the rest of this webpage, please allow me to explain why I'm doing this for free now. 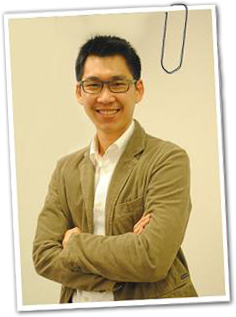 My name is Patric Chan and I've taught tens of thousands of students worldwide. As much as I want to help you today, I hope you can understand that I'm doing this for the benefit of myself too. After more than a decade of being in this business, I've realized that the REAL reason why someone achieves success or fail is not strictly based on the methods that they have learned - it's based on that person's mindset for success, their drive if you like. So I've wrote the book, WakeUp Millionaire to teach this, and I'm blessed knowing that it has achieved #1 best-selling book in Amazon.com's "self help" category for Kindle in the past. 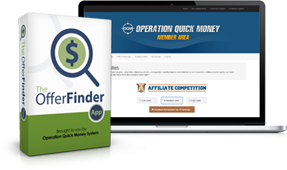 The Operation Quick Money is a system that I've developed to help you to make money online. Simply how it sounds, the system is about how you can get started quickly to make your very first $100. IMPORTANT: This is NOT a get-rich-quick scheme. It takes time and work to achieve - but when you follow the right steps, the work you put in can finally create the success that you've been looking for. The easiest way to get started and make some money online is to promote other company's products and make a commission from therein. The reason is, the company has already developed the unique product to sell - your simple task is to send traffic back to their website. With The Offer Finder App, the software will help you to research hundreds of products that you can promote, and you'll earn commission as high as 70%. Once this is done, you'll need to create a website to promote these products online. Inside our training area, I'll teach you how to put up a website up both quickly and easily. If you're willing to learn and follow the steps carefully, I think you can complete this as quickly as one or two days. During this step, I'll share with you how to promote the offer that you've selected on your website. When a website visitor comes to your webpage and buys the offer you've recommended, you'll automatically be credited with some commission. And to make money online, it's really as simple as that. Finally, all you now need is to get traffic to your website. So during this final step, I'm going to share with you how to get traffic to your website for absolutely free! The Offer Finder App and the entire training course is web-based. This means, all of the training is provided online, 100% of it. This way, we'll also be able to update the training courses conveniently for you. To get started, simply register a membership account.